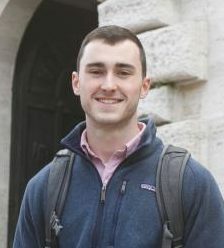 VATICAN CITY (CNS) — In the technology support department at the Vatican Museums, Villanova University student Justin Myers is spending a semester creating virtual tours of galleries, part of a larger project to make the museums accessible to everyone. Throughout his semester-long internship, Myers developed tours from scratch. He received images of the Upper Galleries and the Gallery of Maps to develop into tours with a 360-degree, high-definition view. While the end result can be spectacular, the process of taking all the photos needed of each gallery can be quite tedious, he said. For the Gallery of Maps, Myers was additionally responsible for stitching together the small images into a larger panoramic image. “I drop those panoramas into the software and it generates a very basic tour, but then I go back and edit that tour and add the logos, the navigation, the connection between scenes, and all the details to make it more navigable and professional,” said Myers. 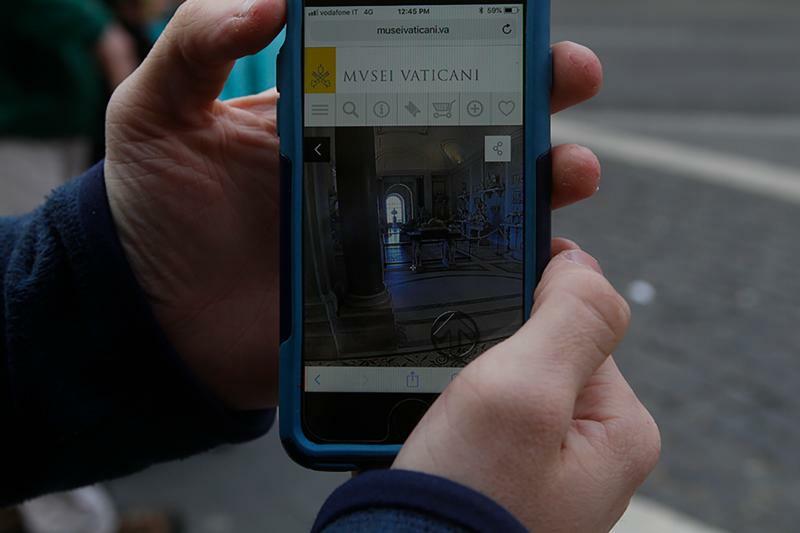 In addition to allowing anyone anywhere in the world to virtually visit the museums, the online tours also will help solve the Vatican Museums’ accessibility issues. For example, in February 2017, an elevator was temporarily deactivated and the Upper Galleries were not accessible to visitors using wheelchairs. Myers also had a hand in adjusting and correcting the virtual tour of the Necropolis of the “Via Triumphalis,” an area of the Vatican Museums currently not open to the public. The corrections for the Necropolis were as simple as changing the size of the navigation map when a viewer opens the tour online and ensuring that the tour is playable on an iPhone. Even minor fixes like that meant code to be manually changed or rewritten, he said. But it was important that the public still be able to access the historic site. People with virtual reality headsets can view the tours in virtual reality mode, which helps to immerse the viewers in the different rooms of the Vatican Museums. There is no cost to access any of these tours. “It’s all free. If you have a VR headset on your phone you can launch the website,” Myers said. The best part of his internship, Myers said, is that he is already contributing to an important global preservation of art despite being only a junior in college. “It’s not like I’m staring at a boring computer screen; I’m staring at a virtual tour. Any change that you make will be reflected and it’s fun knowing that whatever I made will be on this tour for the world to see,” he said. Working under Luca della Giovampaola, head of the office for technology support at the Vatican Museums, Myers was part of a long line of interns sent to Rome from Villanova University in Pennsylvania every semester. The program was spearheaded by Frank Klassner, Villanova professor of computing sciences. Klassner and other Villanova professors were responsible for capturing the images of the Sistine Chapel and St. Peter’s Basilica used in the tours.